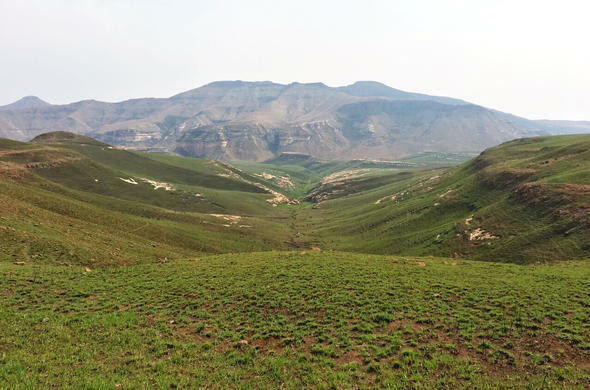 Golden Gate Highlands National Park is currently the only grassland National Park in South Africa and has one of the best equipped Environmental Education Centres. Golden Gate Highlands National Park is situated near Clarens and lies on the scenic Highlands Route in the foothills of the Maluti Mountains, about 360km south of Johannesburg in the province of Free State, South Africa. The park is easily reached by passing across the Drakensberg via the picturesque Oliviershoek Pass. A public tar road runs through the park and there is no entrance gate. Roads within the park are all tarred and there is a general dealer and filling station available. Golden Gate Highlands National Park is easily accessible and centrally located from Johannesburg, Durban and Bloemfontein. The climate of the region consists of mild highveld summers with the possibility of thunderstorms in the afternoon and cold winters with occasional snow that transforms the park into a white wonderland.